Detailed information is called budget by any person or government, balancing their income and expenditure in the coming month or year. Whereas in reality the budget is often made by the common man. Every person prepares an outline of what is to be spent in the coming month on the basis of their fixed or potential monthly income, then it is called a budget. The benefit of making a budget is that a person can balance his expenses and through the budget presented by the government, we get information about the public policies and taxation of the government. On the contrary, the government budget is always considered to be good for the deficit (i.e. the income received by the government is less than the government’s proposed expenses because the main source of income of the government is the tax.) This message goes to the public that the government Not paying more to complete what is spent in the work. The Government determines what next year related to the development of the country is to spend on priority and how to arrange funds for those expenses. 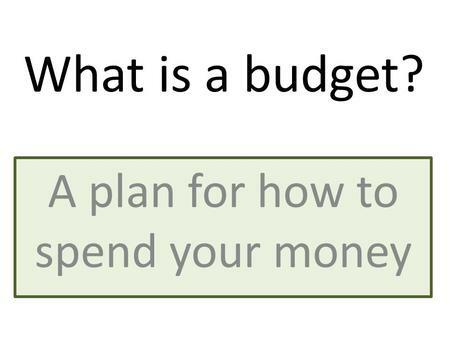 This report on income and expenditure is called a budget. Budget is created for a certain period. The government holds the tenure of its budget for one year which starts on April 1 this year and ends March 31 next year. It is known as the Financial Year. Budget is a way to get out of financial crisis and there is a way to know about the progress of your country. The details of our income and expenditure, which you and I have, are said in this budget. Just as people spend their budget wisely and move forward, the country also thinks and does, it is only on the scale and in crores. Budget is for one year.